Spring 2014 design studio midterm reviews photos. Here you can find some photos from Thursday’s midterm reviews. Thanks again to our critics for coming and giving all the advices to our students. MIGUEL ROLDAN, BAC director / TONI MONTES, Architect, Design Studio professor/ JORDI MANSILLA, Architect, Design Studio professor / IVAN BLASI, Architect and Clemson University field studies professor. CESAR REYES, Architect, Architecture critic and editor DPR Barcelona / JOSE ZABALA, Architect and editor of Quaderns magazine / AGATA BUSCEMI, Architect, Landscape architect of Bellmunt+Buscemi arquitectes/ROGER PAEZ, Architect AiB arquitectes. prof. MARY PADUA, Professor of Landscape Architecture and founding Chair of the Clemson University’s new Department of Landscape Architecture for coming to Barcelona for the reviews. 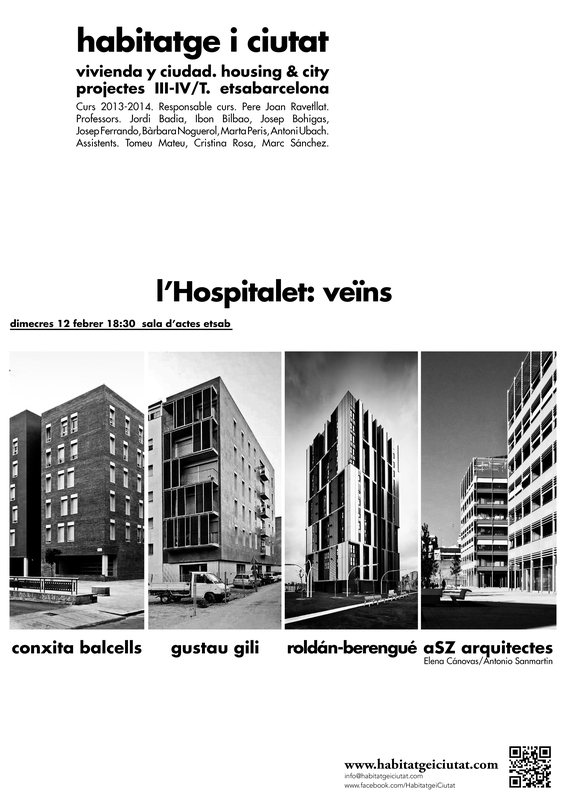 “Lecture on Housing and the City – l’Hospitalet neighbors” as a part of the course on housing at Barcelona’s School of Architecture.